St. John’s Spiritual Path Ministry is open to all. 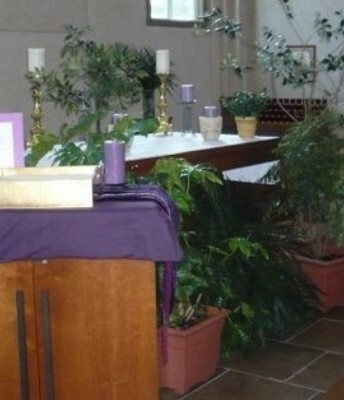 The community of St. John’s watches in prayer overnight from Maundy Thursday evening through Good Friday at noon. Participants find in it deep intimacy with our Lord as we relive the events of Holy Week in preparation for the celebration of Easter. 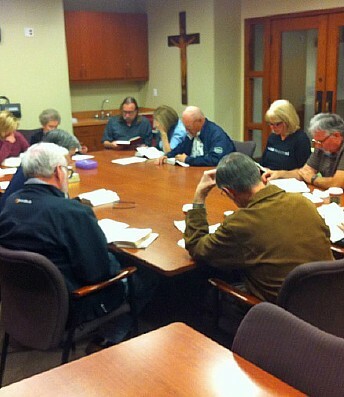 – Bible Fellowship, a mid-week gathering for learning & fellowship at 7 p.m. in the Bishop’s Room. Labyrinths have been used by Christians since the 1100’s. 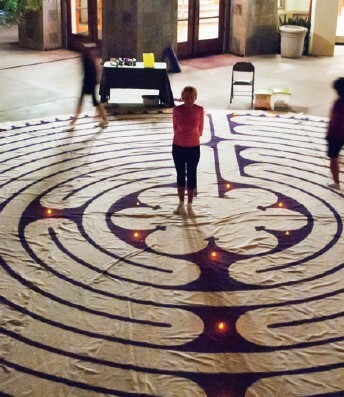 Our portable labyrinth is a replica of the famous one at Chartres Cathedral. 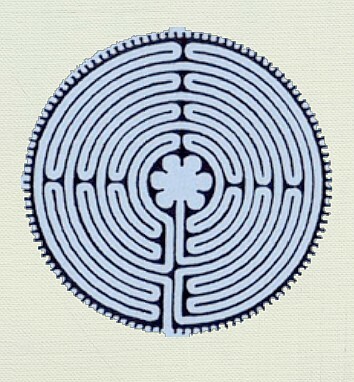 The labyrinth can be seen as a metaphor for the spiritual journey, in three stages – the walk in, the center, and the walk out. Early Christians called the Dirst stage purgation (or release) signifying purging yourself of sins, worries or wounds as you walk into the center. The center stage was called illumination, where insights are gained. As you walk out of the labyrinth the Dinal stage was called union, where your soul rests in relationship with God.